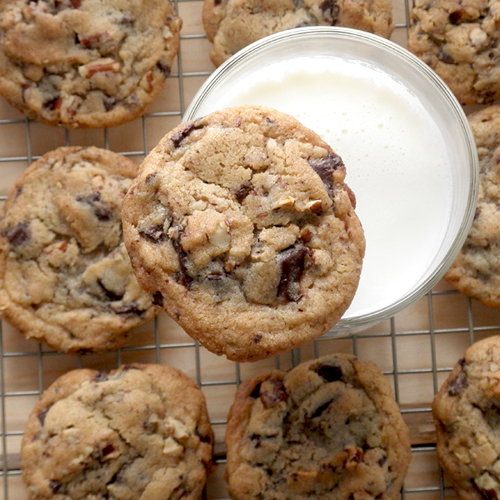 The following is my favorite chocolate chip cookie recipe. I got it from a book titled, Top Secret Recipes, and it's supposedly the recipe for Keebler Soft Batch cookies. I changed some things, like using Dove chocolate instead of chips, but you can really just use chocolate chips. I find that 3/4 of a bag is enough for this recipe for some reason, but the whole bag wouldn't hurt. 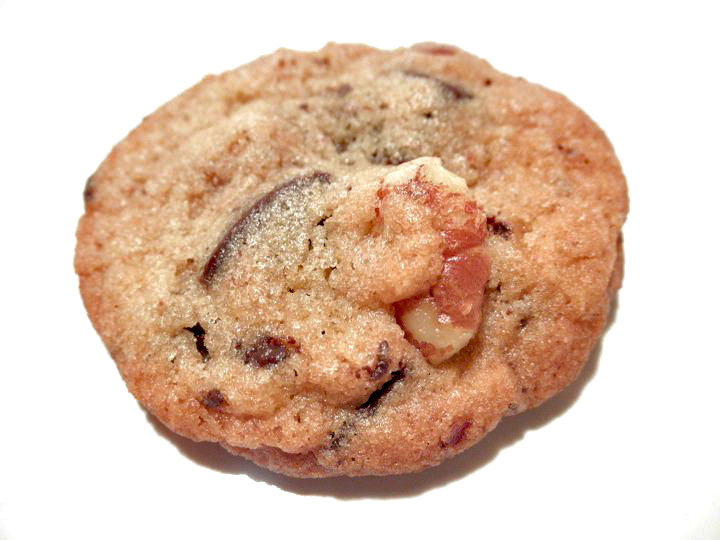 The thing that sets this cookie apart from lots of other chocolate chip cookie recipes, is the mixing method. First you mix the butter, shortening, egg, water, vanilla. It starts out looking like something that will never look creamy, but you just keep mixing it until it emulsifies and becomes super creamy. Then you mix the sugar, flour, and other dry ingredients in a separate bowl; then mix in. I guess it's almost like a biscuit method? Anyway, the result is a cookie with a nice crisp exterior and a soft, chewy interior. The Dove chocolate just pushes it over the edge. These are awesome. Really. Trust me. If you're looking for a crisp chocolate chip cookie recipe, try my Crisp Mini Chocolate Chip Cookies, which use the same basic recipe below, sans water. 4. Preheat oven to 375°F. Scoop dough into balls that are about 2 tablespoons and place them one inch apart on a parchment lined cookie sheet.